A hedge fund manager who thrived in 2008 says the debt ceiling is not a black swan. But he's still worried about an eventual Washington crisis hurting the market. Mark Spitznagel expects the stock market to crash in the next year, but the chief investment officer of the hedge fund Universa thinks a debt default by the United States is unlikely to be the catalyst. "The debt ceiling is much ado about nothing" said Spitznagel. "This is a sideshow." Spitznagel, who also author of "The Dao of Capital: Austrian Investing in a Distorted World, knows a thing or two about investing in a crisis. His fund manages several billion dollars and promises portfolio protection in the event of a market correction or crash. In 2008, it returned more than 100%, while the S&P dropped by more than 40%. Universa also has Nassim Taleb, who's famous for coining the term "black swan" to explain unforeseen events that wreak havoc on global markets, as an advisor. Spitznagel does not think a potential debt default would be such a black swan. There's been too much discussion about it. But Spitznagel is still worried about Washington. He says the real problem facing the market is the nation's overall debt burden -- not the arbitrary debt ceiling set by Congress. Spitznagel expects Congress and President Obama to do what it takes to avoid a near-term default. But he's concerned that neither can control the Federal Reserve's bloated balance sheet. The Fed's ongoing bond buying program has added roughly $4 trillion to the central bank's balance sheet since the financial crisis. "The Fed has created massive market distortions," said Spitznagel. 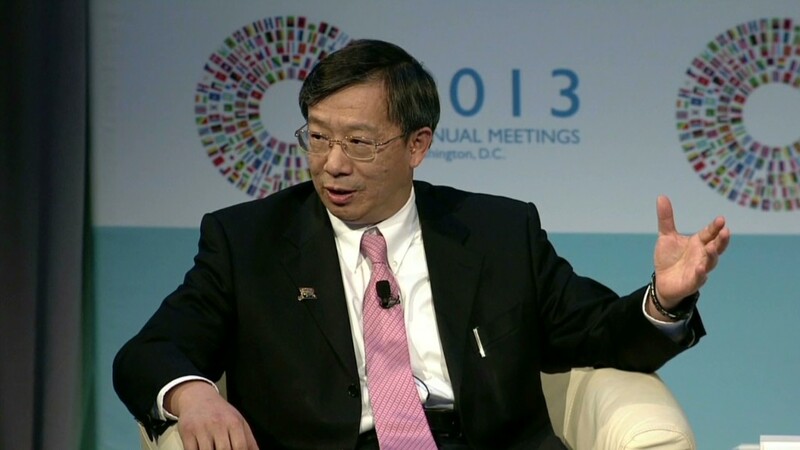 "This kind of monetary distortion will end in a credit collapse." Spitznagel's views are not widely accepted on Wall Street. While many investors and analysts are concerned about the disconnect between the stock market's rally and anemic economic growth, they often cite the Fed's easy money policies as a reason for optimism. But Spitznagel says the Fed can only pump up the market for so long. Those gains will be fleeting if they can't kick start the economy and hiring. "The Fed is pushing on a string. At some point what they're doing will no longer matter," he said. He is convinced that both the Fed and U.S. government need to rein in spending to avoid a major collapse. If Congress and the President were to allow the U.S. to default on its obligations, Spitznagel says investors may finally be forced to grapple with the nation's "unsustainable level of debt." It won't be a good thing for the market. But the U.S. has to deal with its debt at some point. To Spitznagel, a short-term deal to raise the debt ceiling is even more worrisome, because it would just prolong the inevitable day of reckoning. "The system needs to repair itself, and it will be ugly," he said. 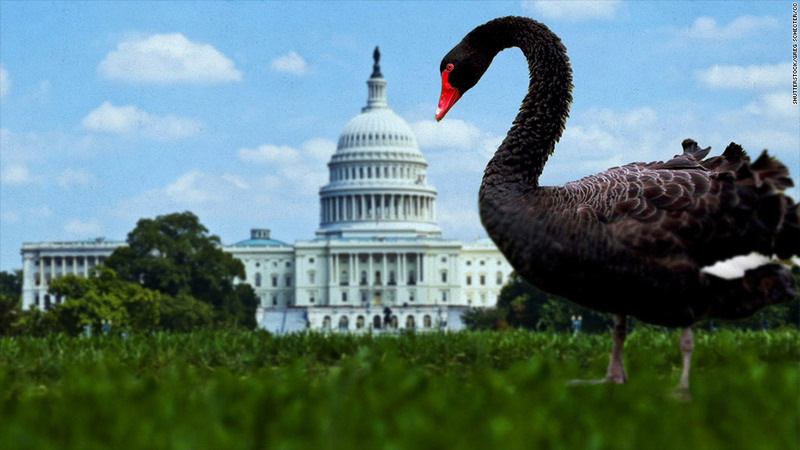 So while the black swan may not be spreading its wings over the nation's capital this month, it could sometime in the future.